My time with Joan Darlene has been so incredibly wonderful and I wish I could express adequately what a difference Reiki has made in my life. I feel like I am finally getting back to "me" and where I was several years ago spiritually. The trauma of the last 2-3 years both personally and professionally have really taken a toll and coupled with my health issue there were times I felt as if I couldn't make it through another day. I felt a difference from the very first appointment I had with Joan Darlene and am so blessed to have found her. Would you like to ask for guidance? 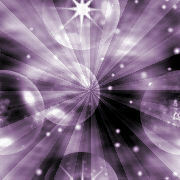 In addition to my Energy Body Healing work I now offer Angel Card readings. Who better to get your answers from than the Angels who only want to guide you for your Highest and Best Good. I am a Certified Angel Therapy Practitioner® trained by Doreen Virtue and look forward to helping you spread your wings so you can fly to the heights you deserve. Find out what the Angels want to communicate to you. A gift certificate makes a thoughtful holiday gift. Gift certificates come beautifully wrapped and ready for giving. Looking for a unique party attraction? Offer your guests Angel Card readings. Each guest can receive a 15-20 minute reading. Call for prices.